A Young Woman Dressed In Avant Garde Attire And Holding A Hat.. Stock Photo, Picture And Royalty Free Image. Image 7003125. 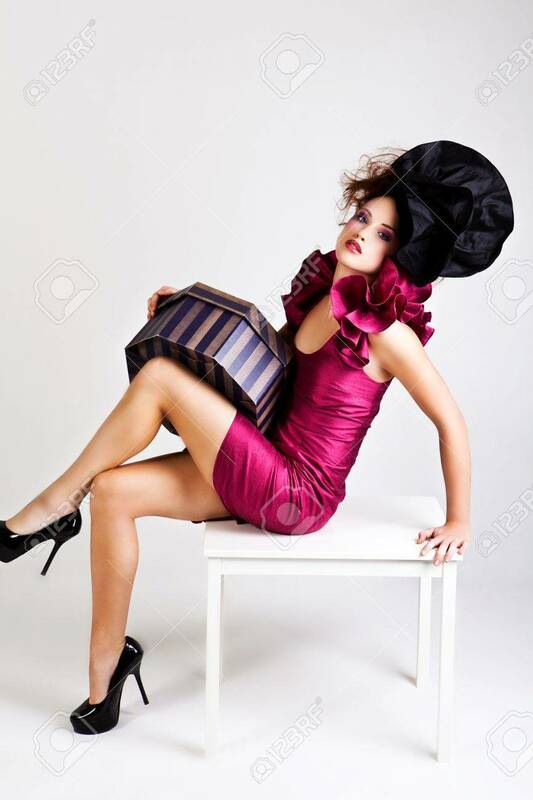 Stock Photo - A young woman dressed in avant garde attire and holding a hat box. She is wearing a hat and has cosmetic artwork on her right temple. Vertical shot. A young woman dressed in avant garde attire and holding a hat box. She is wearing a hat and has cosmetic artwork on her right temple. Vertical shot.